Nestled in the heart of ‘Victoria’s Spa Country’ and only 90 kilometres out of Melbourne, Daylesford makes the perfect weekend getaway. Whether you’re a food connoisseur, shopping enthusiast or a budding artist, there’s so much to explore in Daylesford and the Macedon Ranges. It’s a place rich in local produce and nature’s gifts – a region where rolling hills meet glistening lakes and local farm gates meet cosy wineries. Visit in autumn and ogle at the beautiful patchwork quilt of colours in the countryside, while winter is better served indoors relaxing in a thermal bath or cosying up to a wood fire with a comforting hot chocolate. 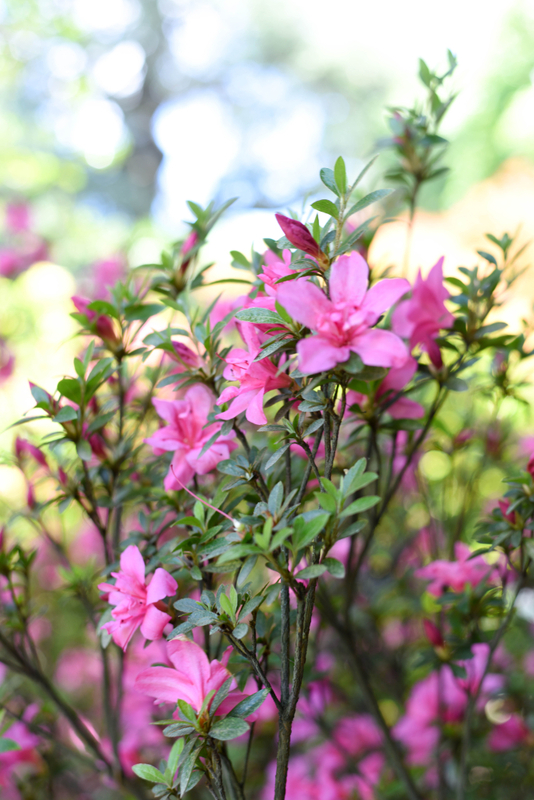 This was my first visit to Daylesford in spring time when the flowers were in full bloom. This weekend’s destination was the Lake House Daylesford, a place I have been day dreaming about for quite some time but haven’t had a chance to visit until now. And after my visit, I can’t wait to come back again to explore more of this beautiful region. 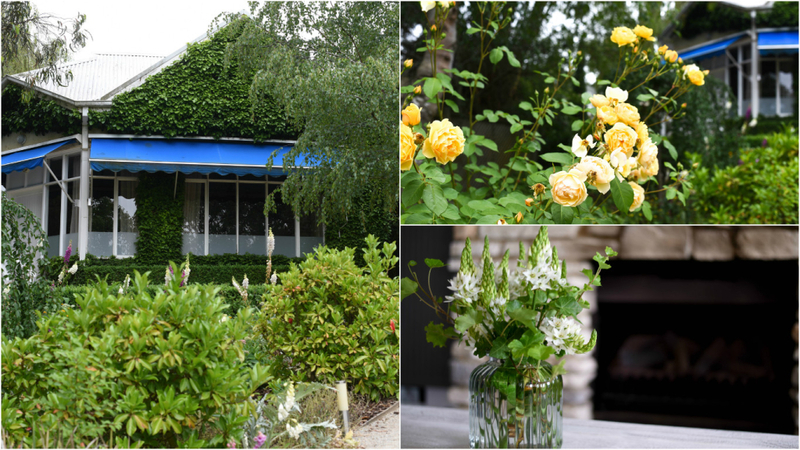 There’s something special about the story of the Lake House Daylesford. It started with a dream, a vision of creating a regional restaurant “worthy of a journey”,in a time when Daylesford was a culinary desert. In 1984 Alla and Alan Wolf-Tasker opened the doors of the Lake House Daylesford, and 31 years later their long-term labour of love is still going strong. The area, which was once a building fronted by swamp, is now one of Australia’s finest food and travel destinations. The Lake House can be likened to a fine wine, which keeps getting better with age, its character always changing and reinventing itself. 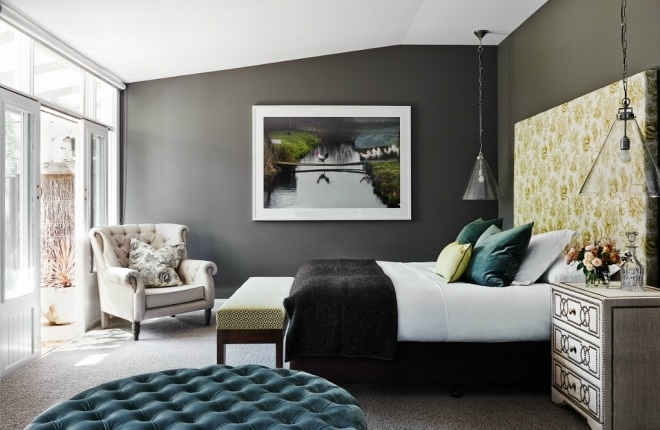 Located on the picturesque shores of Lake Daylesford, the Lake House is a tranquil retreat with a wide range of accommodation available. 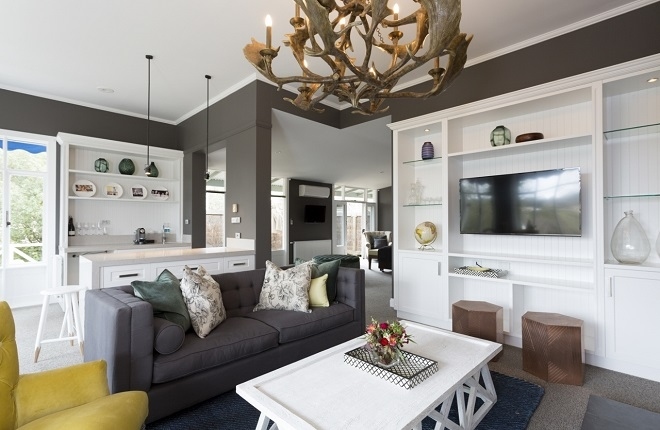 From waterfront rooms, lodge accommodation and deluxe suites, there is something in the Lake House for everyone. 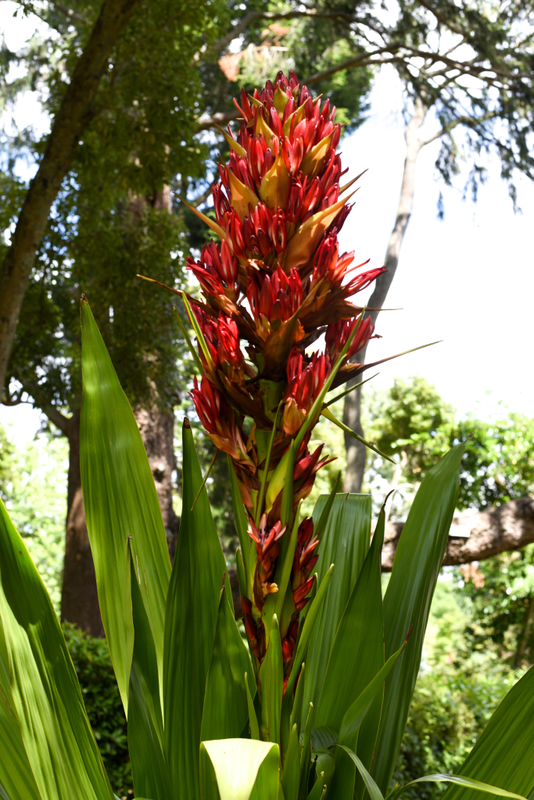 The hotel grounds on the six acre property are stunning. 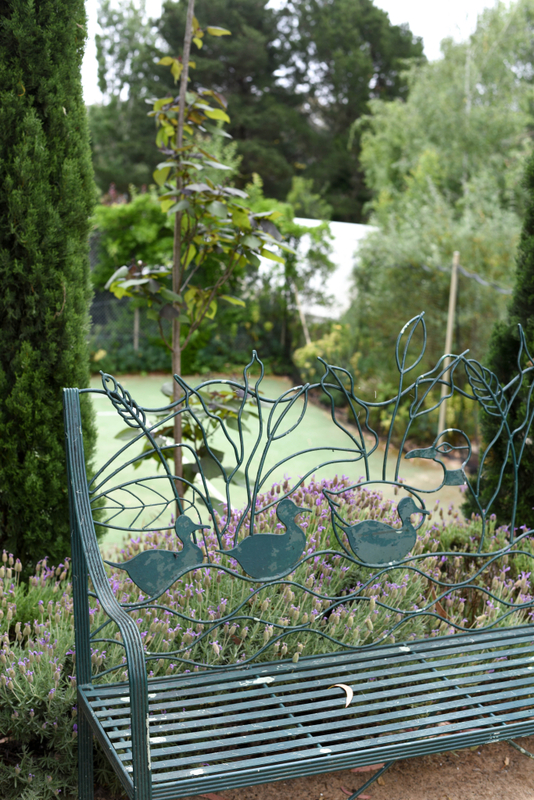 Wander around its winding paths and you’ll find beautifully manicured gardens, fruit trees, a kitchen herb garden and a myriad of sculptures and art work by the region’s top artists, including resident artist and Alla’s husband, Allan Wolf-Tasker. If you’re feeling active, there’s a tennis court and bocce pitch on site, or in the evening you can rest your weary legs in the outdoor jacuzzi. There’s plenty of deck chairs and terraces to relax with a book in the sunshine overlooking the lake, listening to the distant sing-song of birds in the trees. 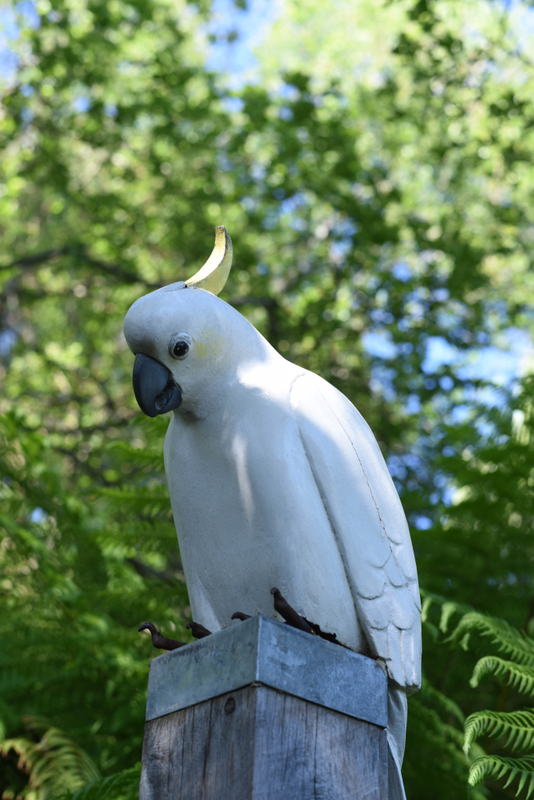 If you’re lucky you may even see their resident kookaburra family at daily feeding times. The Argyle Library Bar is a popular spot for pre-dinner drinks or just to unwind in one of their plush sofas with a good book. I could spend hours sifting through the plethora of travel and cookbooks in the fully stocked library. 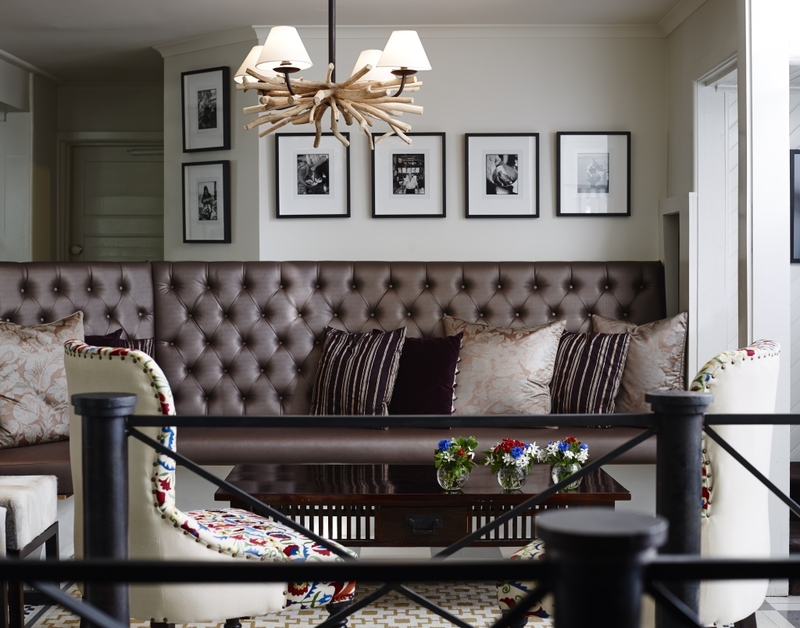 Beautifully decorated throughout, the Sutton Suite is a room which you will not want to leave. Believe me! Furnished with plush sofas, provincial style armchairs and an ultra comfortable king size bed, the room is dressed in earthy tones with flashes of green and purple to give it a touch of warmth. 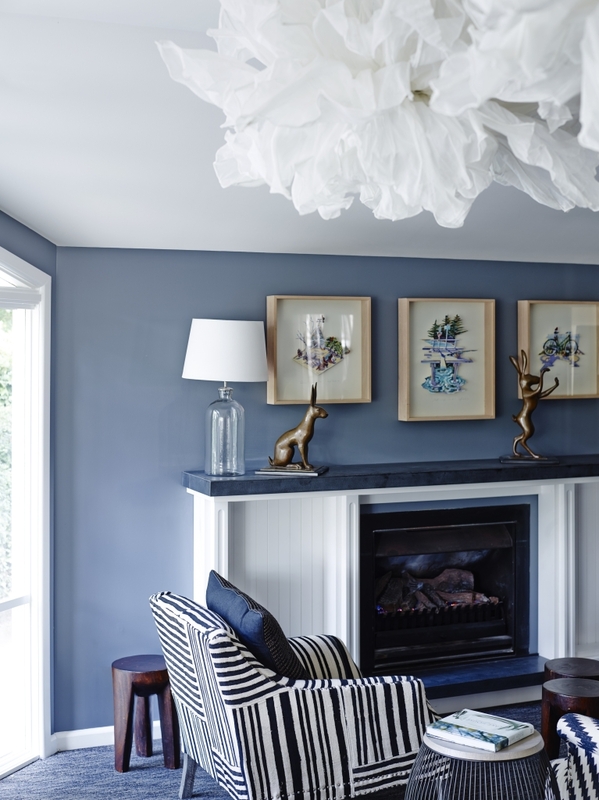 A wood framed chandelier, with almost moose like tusks, hovers over a living room handsomely built with a stone fireplace, lounge and coffee table. Large windows underneath ocean blue canopies open up to a gorgeous garden and winding path full of blossoming flowers. There’s also a sun drenched courtyard to have a coffee and read the paper in the morning. Saying the bathroom is large is an understatement. 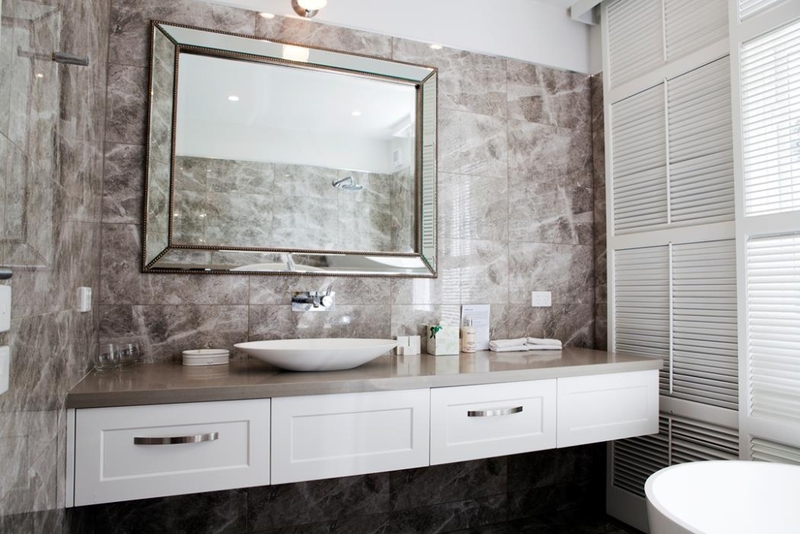 Clad in stone, it has a deep white ceramic bath tub which is perfect for resting weary legs after a long day. There’s also a luxurious shower and dual basins. Guests can also choose from a nice range of Elemis Skincare products. And don’t forget the massive walk in robe and dressing room. 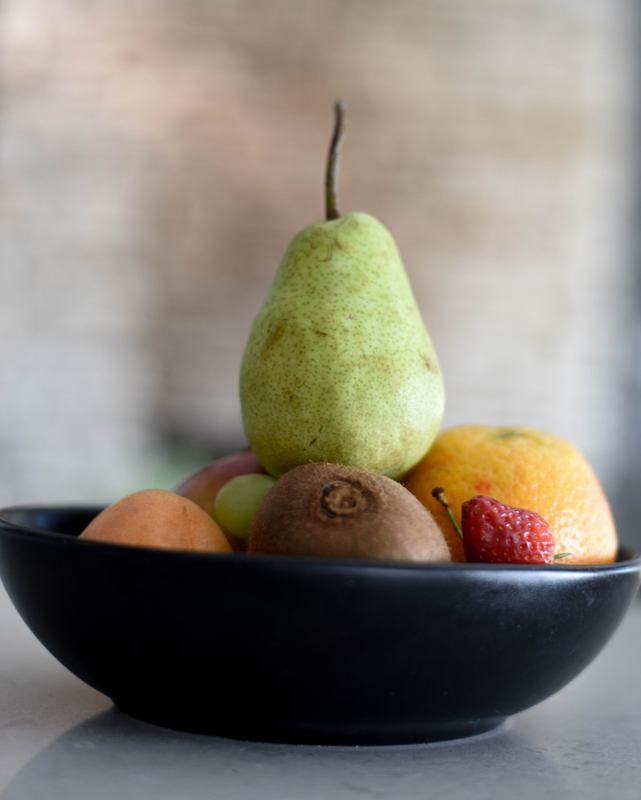 But it’s the small touches which really win me over; from the fresh flowers on the lounge room table, to the fruit platter and freshly made bread and butter in the kitchen. 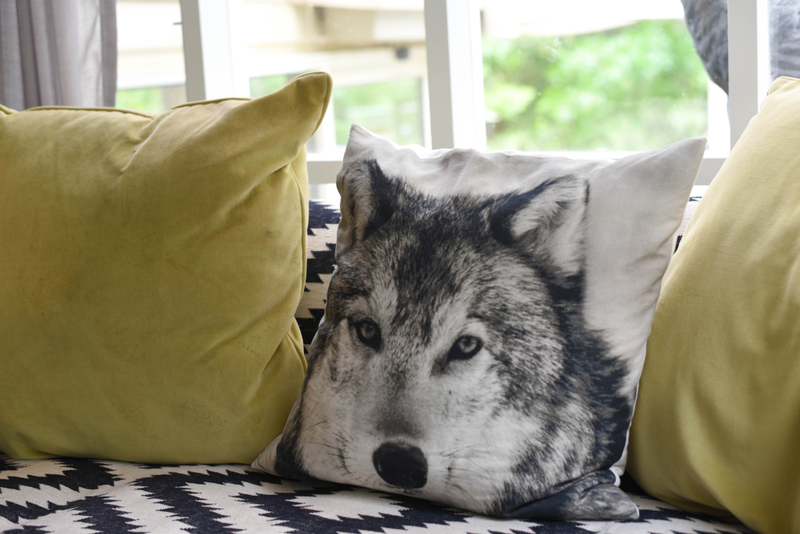 The Wolf-Taskers have put so much love and personality into the rooms at the Lake House. Even the plates on the kitchen dresser and some of the art work are complements of Alla’s husband and resident artist Allan Wolf-Tasker. 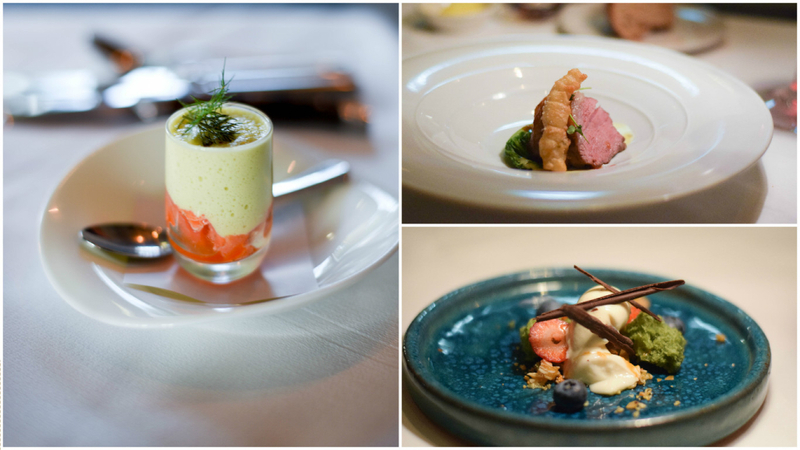 The two hatted Lake House Restaurant has single-handedly put regional Victoria on the world-class dining map. 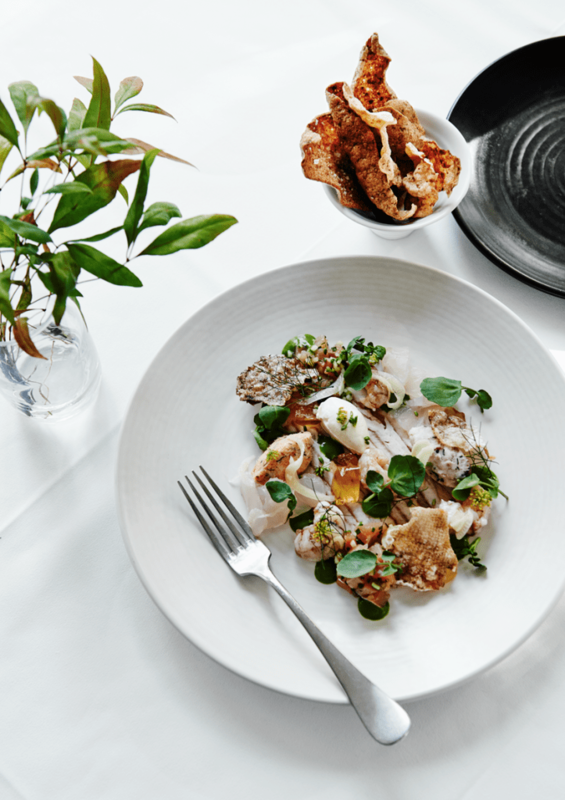 Alla Wolf-Tasker (Co-Owner and Culinary Director) and Head Chef David Green are the dream force behind the restaurant which is forever reinventing its modern Australian menu, showcasing the best of local and regional produce wherever possible, often hand-picked for a morning delivery. Pretty much everything is produced by the kitchen from the ground up, including their house baked breads to their charcuterie. 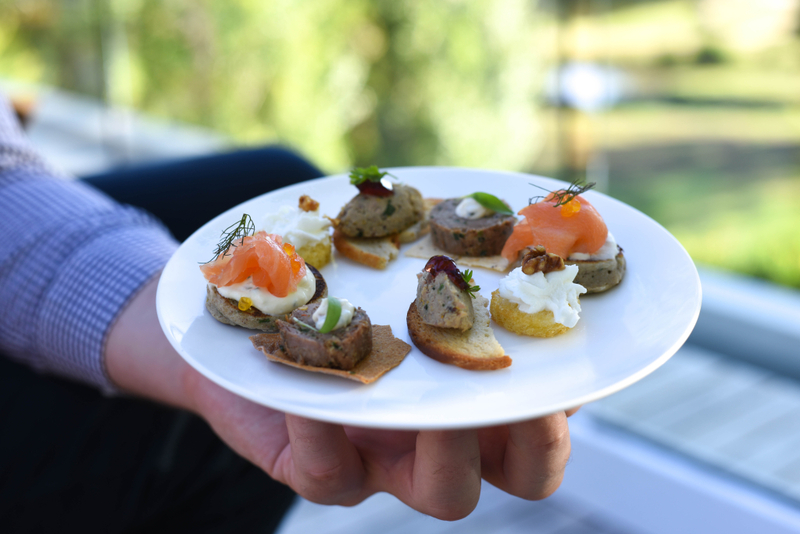 Venture to the alfresco deck and enjoy a pre dinner aperitivo and a selection of their complimentary canapés for hotel guests (available from 4.30 – 8.30pm on the terrace or the Argyle Library Bar). It’s a perfect spot to sit and watch the sun melt into the glistening lake in the evening. To fully take advantage of its breathtaking surrounds, the restaurant has floor to ceiling glass to give diners a bird’s eye view of the gardens and lake. With an understated sophisticated charm, the dining room is bright and airy, neatly dressed with tables topped with white linen, luxurious chairs and plush wrap around sofas. Equally impressive is the cellar beneath the restaurant, which showcases some of the best quality wines from around the world, as well as on their own door step – living proof why it is now in the Australian Wine List hall of fame. After toying between the a la carte menu (minimum of two courses per diner required) and the degustation, we ordered the seven course tasting menu ($145 per person , a playful and inventive display of the kitchen’s dishes. To start, a loaf of freshly baked bread, nice and crispy on the outside and pillowy soft in the middle – perfect for spreading a generous layer of delicious salted butter. For the amuse bouche, a taste bud tantalising veal tartare and mojama (cured tuna) teamed with bonito on a nori crisp was a nice start. This was swiftly followed by an elegant glass of confit trout topped with a creamy custard of fennel and caper salt. A seafood infused concoction of jellied yabbies, horseradish pannacotta, trout roe, squid ink and smoked trout was texturally surprising and packed with flavour. The larger plates continued to impress. A gorgeous saffron pasta parcel with slow cooked limestone farm pullet egg was paired with herbs, green vegetables and peas fresh from the garden, while a chicken ballotine was melt-in-your-mouth tender, resting on a bed of black barley, jus gras and wild nettles. No Australian menu is complete without their world-class lamb, and the Flinders Island grass spring lamb was nothing short of exceptional. The lamb was cooked to perfection, pleasurably showing off its pink rosy flesh with a hint of arrogance. It was nicely finished with chargrilled artichoke, anchoiade and a fried golden parcel of anchovy. They often say the best things come last, and this is particularly true for me, a self-confessed sweet tooth. I consulted with my secondary dessert stomach to squeeze in a couple of additional treats. And my stomach answered yes. The pre dessert “play time” was a taste bud tingling concoction of three palate cleansing treats, starting with an impossibly cold, almost brain freezing granita of watermelon and white chocolate. followed by a zesty shot of watermelon and a cake pop smothered in toasted meringue. The country ramble is a show stopping dessert of almonds, berries and elderflower and apple jelly. Studded with chunks of honeycomb and a gorgeously aerated pistachio sponge, the dish is full of contrasting flavours and textural delights. Twigs of tempered chocolate finished off the final dessert beautifully. Finishing with coffee and petit four, I could not rate this restaurant highly enough. 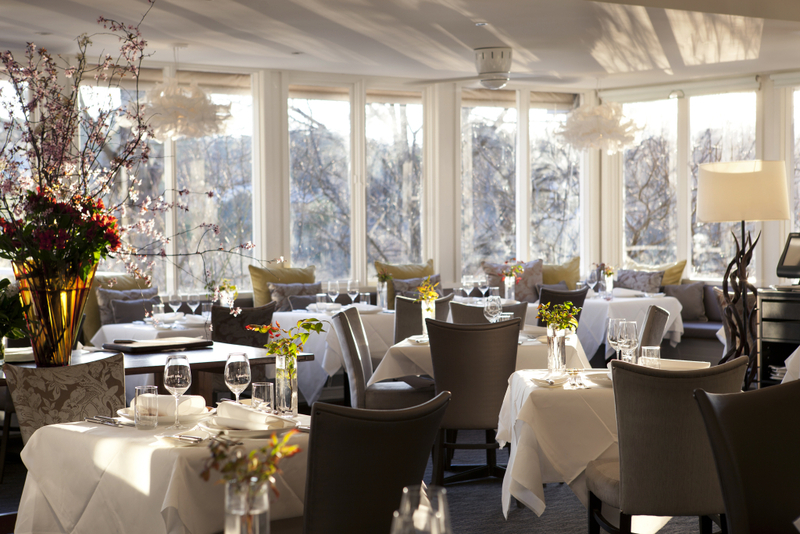 The Lake House Daylesford also has its own cooking school on site, housed in the Terrace Room. I had the pleasure of attending the Christmas themed cooking class with ex Masterchef Winner Emma Dean. We were welcomed in the morning with a much-needed coffee and goodie bag on arrival (including Emma Dean’s new cookbook “A Home-grown table”). Emma showed us how to put together the perfect Christmas banquet. She started with cooking a roast pork. According to Emma the key to getting a good crackling is to ensure the pork is really dry. A great tip is to dry out the pork for 24 hours before cooking it by resting it uncovered in the fridge. This trick really paid off, the result being an impossibly crisp crackling and succulent meaty flesh. The desserts were nothing short of spectacular. 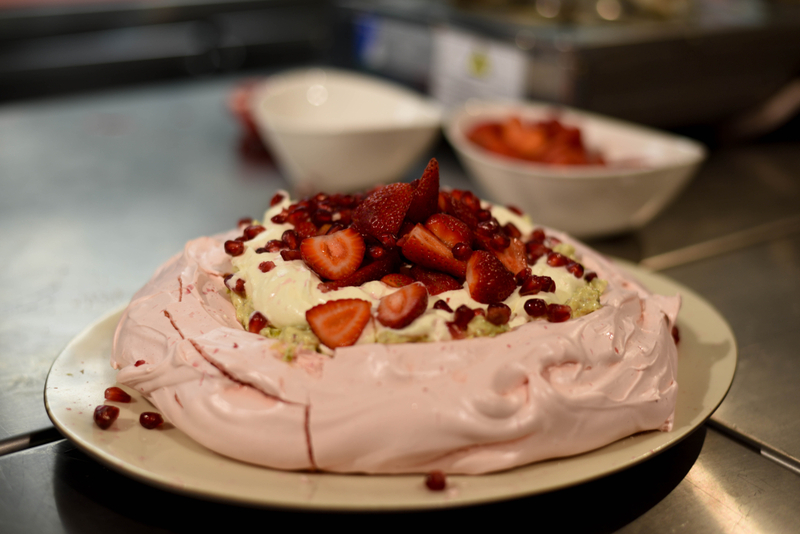 My favourite was the rosewater pavlova (pictured) with pistachio cream – a perfect alternative to Christmas pudding. 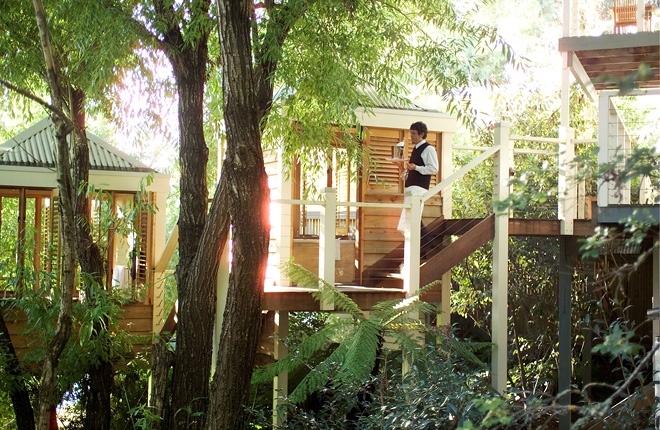 Nestled within the fern gully, Salus Day Spa is the perfect place to unwind after a busy week. The Scandinavian inspired spa is designed with blonde timber and Tiffany Blue. If you listen carefully, you can hear the sound of running water from the waterfall led streams and springs just outside the spa. A smorgasboard of treatments are available from private tree top spas in secluded cabins to exotic milk bath rituals. Wherever you look there’s a gallery, farm gate or winery around every corner. Daylesford is one of Victoria’s premier food and wine destinations, thanks to the help of Alla Wolf-Tasker’s development of the region, fostering important networks with local producers over the last 30 years. 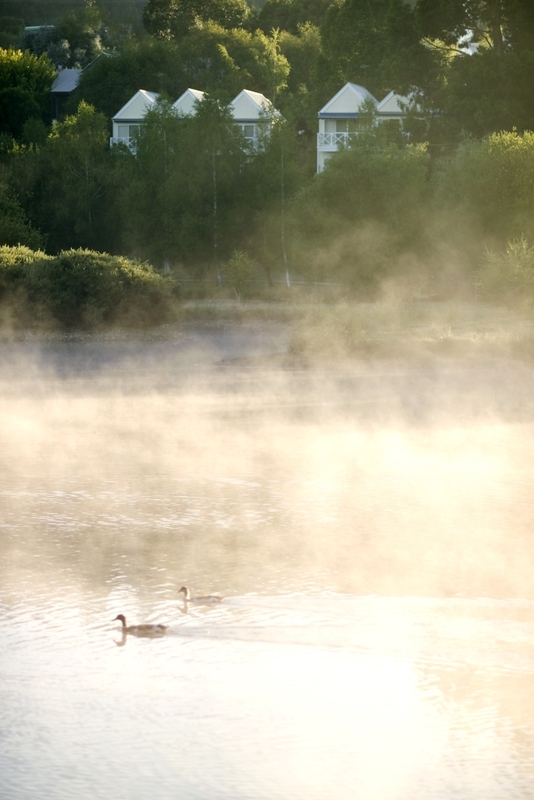 Start your morning with a walk around Lake Daylesford (a round trip of about 30 – 40 minutes). Stop for a coffee at the Book Barn and browse their impressive library of vintage books. 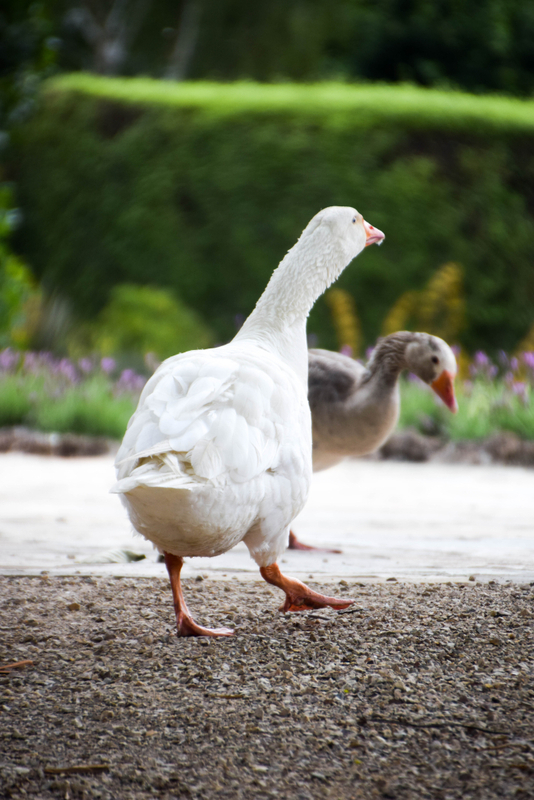 Say hello to the resident ducks or pack a picnic for a lazy lunch on the banks of the lake. Small boats are also available to rent from the Boat House. 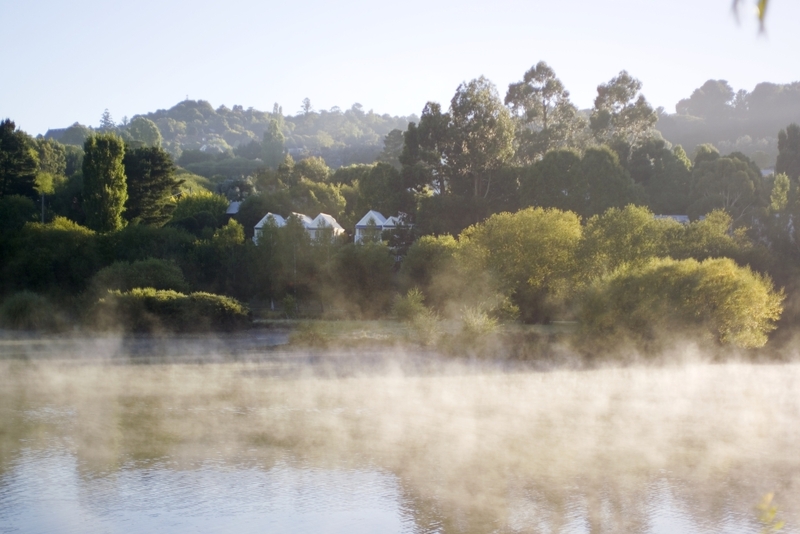 Daylesford is renowned for its large concentration of mineral springs and spas, so if you’re looking for a place to unwind and recharge the batteries it’s the perfect place. The historic Hepburn Bathhouse & Spa is a great spot to bathe in warmed mineral water pools and has a great range of hydrotherapies, massages, body wraps and beauty treatments. The Convent Gallery is a must-see, the 19th Century Victorian mansion housing seven galleries featuring work by over 100 local and international artists. Don’t leave without a casual meander around the beautifully manicured gardens. Art fans should also make a detour to the Bromley gallery. 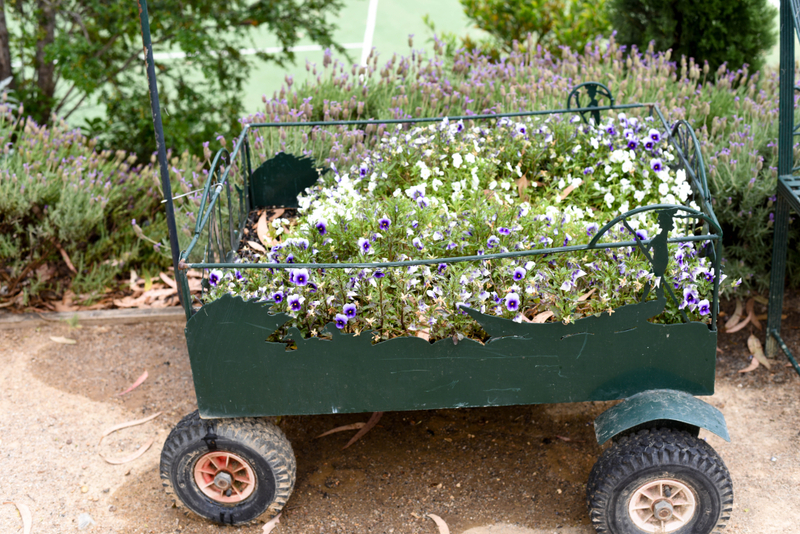 Just up the road on the hill is Wombat Hills Botanical Gardens – a gorgeous garden full of lush green lawns, giant conifers and stately elms. The garden cafe Wombat Hill House (also owned by the Wolf-Taskers) is the perfect retreat for a morning breakfast or lazy Sunday lunch. They also serve a sumptuous high tea in the afternoon. Wander along Daylesford’s Vincent Street, which is full of cute little cafes, galleries and boutiques.In the mood for a wood fired pizza? Try Koukla Cafe. Then for dessert venture to Sweet Indulgence for some chocolate cake and a hot chocolate. For trips further afield visit Hepburn Springs, Trentham Falls (Victoria’s longest single drop waterfall) or Hanging Rock where the movie ‘Picnic at Hanging Rock’ was filmed. Budding wine connoisseurs shouldn’t miss the local wineries in the region including Passing Clouds and Curly Flat. 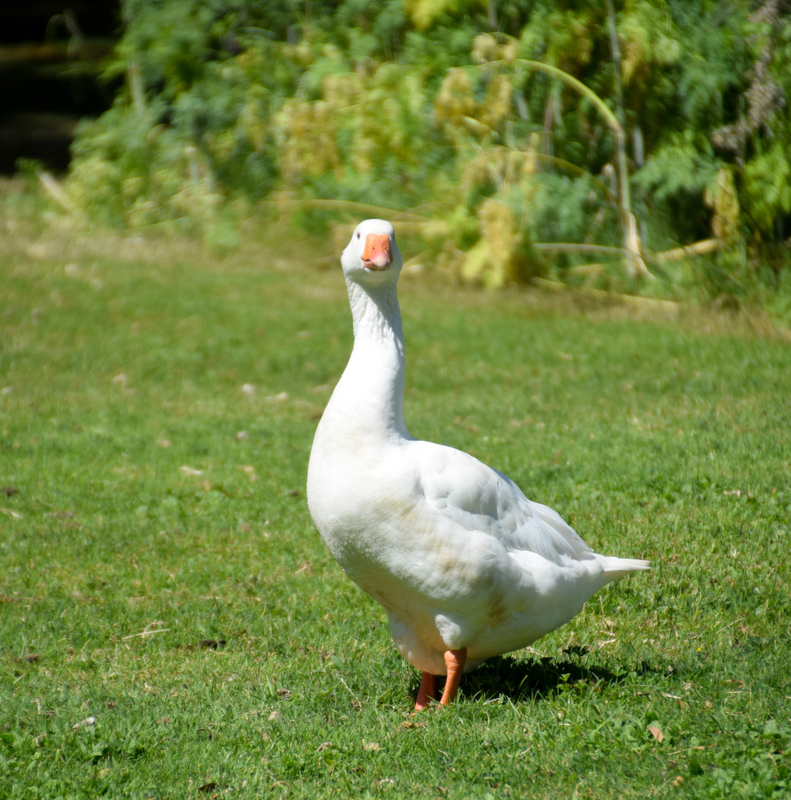 I hope you enjoy Daylesford as much as I do. Please get in touch if you would like any additional tips for the region. 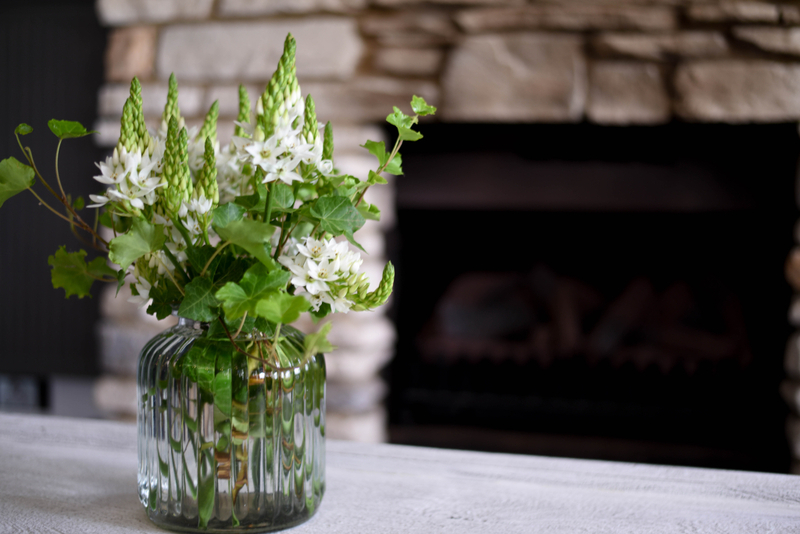 Lake House Getaway packages including accommodation, a la carte dinner in the Lake House restaurant and a full country-style breakfast are available from $305 per person. I was kindly hosted by the Lake House as part of a media package.